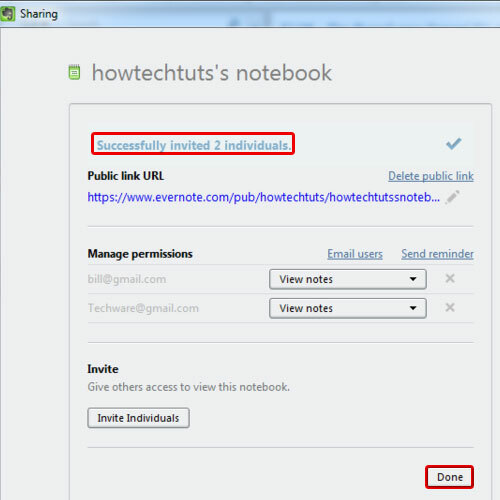 In this tutorial, we will teach you how to share Evernote Notebook. In Evernote, shared notebooks allow different people to work together on a certain project or assignment. Follow this step by step guide to learn how to share Evernote Notebook. First of all, you need to open your Evernote Notebook. On the left hand side, you will find your notebooks. Choose the one you want to export. In this tutorial, we will choose the notebook that we created earlier. 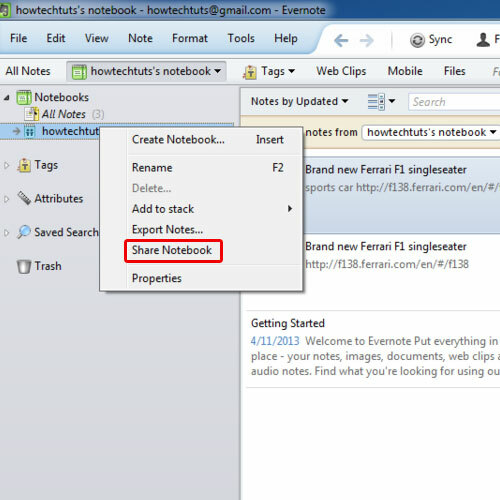 Right click on the notebook and from the drop down menu, select the share notebook option. As a result, the sharing dialog box will appear. Over there, you will be able to view the public link URL. 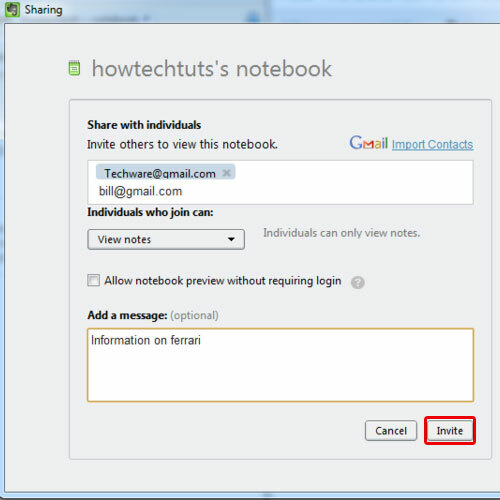 Click on the “invite individuals” option in order to share the notebook with other trusted individuals. 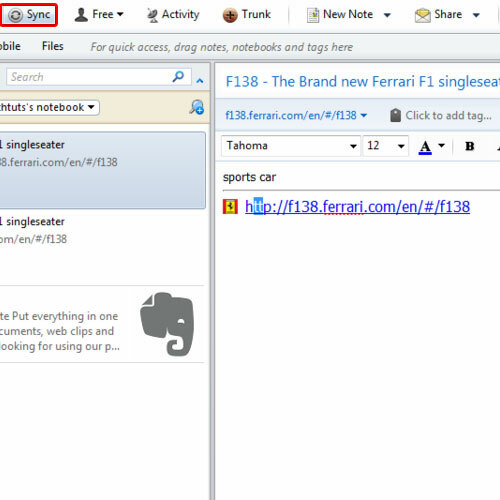 In the new screen, type in the email addresses separated by commas of the people you want to share the notebook with. 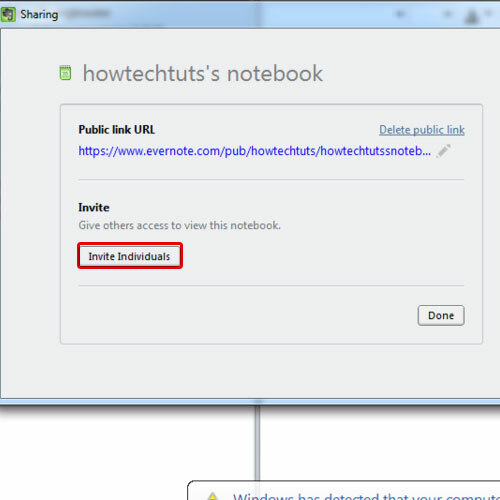 Furthermore, you can set permission masks for the people you are sharing the notebook with. You can allow them to simply just view the notes or you can allow them to make changes to it as well. In this tutorial, the permission mask for the evernote’s shared notebook will just allow the users invited to view the notebook. You can always enter a message before sharing. Once you are done, click on the invite button. You will be notified that the individuals were successfully invited. Click on the done button in order to close the dialog box. Lastly, click on the sync button that you will find on the very top. At the extreme bottom right hand side, you will be able to view the synchronization progress. Once it will be completed, you will see the notification message.